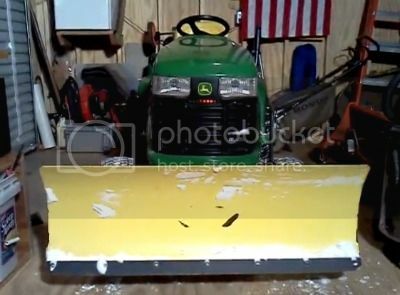 Johngineer rigged* a Larson Scanner to his lawn tractor to create a Cylon / KITT-from-Knight-Rider effect because, hey… when you’re plowing snow on a lawn tractor in the dead of winter, I presume you need all the simple pleasures you can get. That, or perhaps somebody has got some inadequacy issues when it comes to full-sized snow plows and their flashing strobe lights, hmmmmm? Via Make, presents a third option: the lawn tractor has gone sentient and is two snow drifts away from taking over Wisconsin.